Does Modern Agriculture Hold the Solution to Hunger, Poverty and Climate Change? Farming is part of who I am. I am passionate about advancing and advocating for modern agriculture. 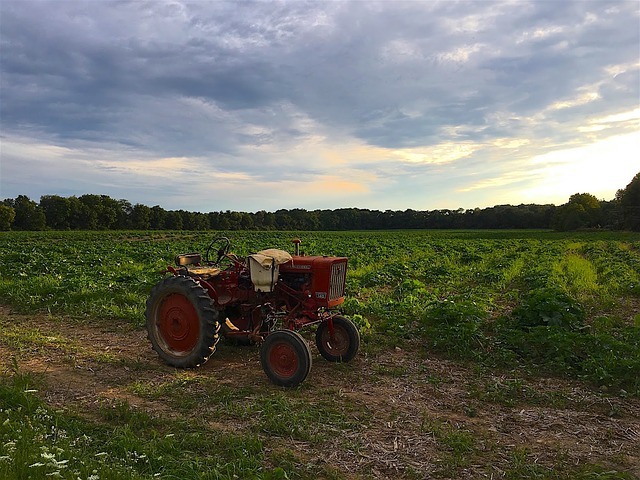 From my early days spent on our family farm in rural Tennessee and throughout a career devoted entirely to agriculture, the farm has played a major role in shaping how I view the world. For me personally, it weighs heavy on my heart that 850 million people around the world are chronically hungry and more than a billion live in extreme poverty. With enormous numbers like these, we can sometimes overlook the fact that these statistics represent real people, amazing people, with hopes and dreams like yours and mine. That’s what gets me up in the morning – the opportunity to help advance agriculture to make a difference in their lives and for our shared planet. I know beyond a doubt that modern agriculture can be a meaningful part of the solution. Really, it’s nearly impossible to overstate its importance in addressing some of the world’s most critical issues. Hunger. Poverty. Climate change. Through innovations like digital tools and other advancements, modern agriculture provides farmers around the world the tools and the know-how they need to help feed the hungry while reducing the environmental impact of growing food, fuel and fiber. Consider this: Since the dawn of agriculture over 11,000 years ago, human prosperity has been driven by success on the farm. Once farmers could produce enough food to take care of themselves and their families, they could provide for their communities, freeing rural economies to grow and flourish. But eliminate productive agriculture as a societal foundation and people get stuck in a poverty trap, fighting constantly just for survival or fleeing in search of areas that might more readily meet their needs. Agriculture makes a foundation that is sturdy and robust, and it helps build a more stable, prosperous and educated society, affording millions of people a better life. While agriculture has faced and overcome numerous hurdles over the years, the global situation we’re in today vastly complicates things. Challenge No. 1 is the huge growth projected in the global population. Today’s population of about 7.6 billion will balloon to 9.8 billion by 2050, according to the United Nations. Combined with richer diets in the parts of the world that are growing more prosperous, the increase means we’ll need at least 50 percent more food by mid-century, as the UN’s Food and Agriculture Organization has forecast. While poverty and hunger (the focus of the UN’s Sustainable Development Goals [SDGs] Nos. 1 and 2) are clear threats to the lives and livelihoods of so many, climate change further compounds the challenge. With extreme weather events like droughts, intense heat and floods, farming becomes more difficult and food and economic security are threatened. That’s one of many reasons SDG 13 calls for immediate climate action. All three of these goals underline how important – how crucial – the success and progress of modern agriculture has become. With the right tools and best practices, farmers can help mitigate greenhouse gas emissions, better adapt to the challenges presented by climate change, and help meet the challenges of our growing global community. What if, for example, we could plant maize (corn) seeds in Africa that grow big, healthy corn ears even in extremely dry conditions? Well, we can. And in Kenya, people like Bertha and Victor Otor, with the help of a program called Water Efficient Maize for Africa (WEMA), are doing it. The result is that the Otors can not only feed their nine children, but also send them to school, helping climb out of the multi-generational poverty that traps so many poor, rural children. The Otors can also use their improved harvests to produce food for others in their community, and spend some of their newfound income in ways that help their family and their neighbors. The Otors bring to life a great example of how modern agriculture is helping farmers adapt to our changing climate. But what about using modern agriculture to help stop climate change in its tracks? We can. And we are. More and more farmers across the Midwestern United States, throughout the plains of Western Canada and in the Cerrados region of Brazil are doing their part. They’re planting high technology seeds and using climate-smart farming methods that result in better harvests while using less land and fewer natural resources. Some of the seeds they’re using have built-in protections against weeds and insect pests, to reduce the need for chemical insecticides. And, because weeds are better controlled, farmers can reduce or eliminate tillage of their soil, which reduces the amount of fuel they must burn and helps keep carbon, a potent greenhouse gas, stored in the soil. And most excitingly, digital tools are emerging that enable farmers to be far more precise in their application of nutrients, which helps keep nitrous oxide, an even more powerful greenhouse gas, from entering the atmosphere. And, what if farmers could grow crops with larger root systems that use nutrients more efficiently and in turn keep more carbon in the soil and more greenhouse gases from escaping to the air? They can. Today, farmers are using seeds that have been coated with naturally occurring microbes that do just that. These microbial advances help deliver healthier plants, healthier soils and a healthier environment. And finally, what if we could boost the practice of planting cover crops between primary growing seasons, so that less topsoil and nutrients are lost and more carbon stays in the soil? We can and we’re working with farmers to do just that. The climate-smart farming techniques enabled by modern agriculture are already proven, and adoption is growing rapidly. But there is an urgent need for even broader, faster adoption if we’re going to eliminate poverty, end global hunger and make agriculture part of the solution to climate change. And these are bold goals. But if we want to be able to look in the faces of hundreds of millions of hungry, impoverished people and say, “we’re doing all we can to help,” then modern agriculture must be part of the solution. Learn more about how Monsanto is advancing the climate-smart practices enabled by modern agriculture in our 2017 Sustainability Report, Growing Better Together.